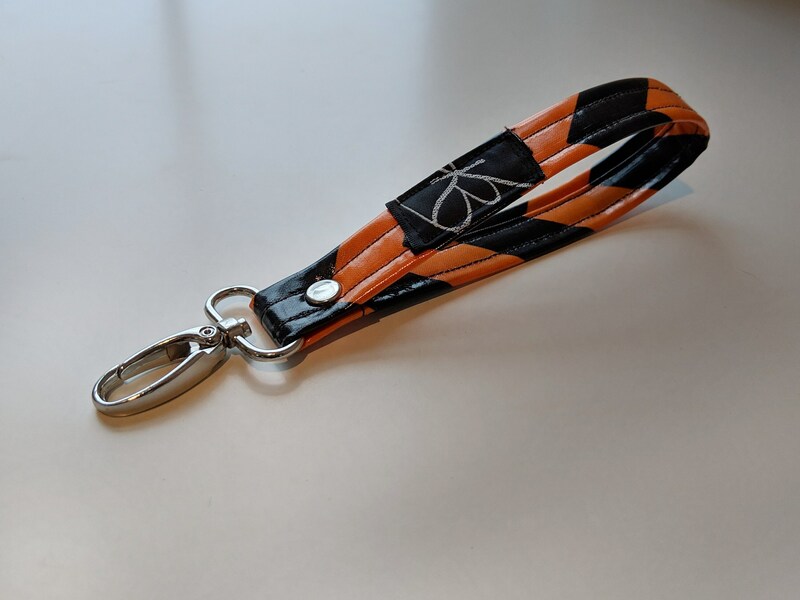 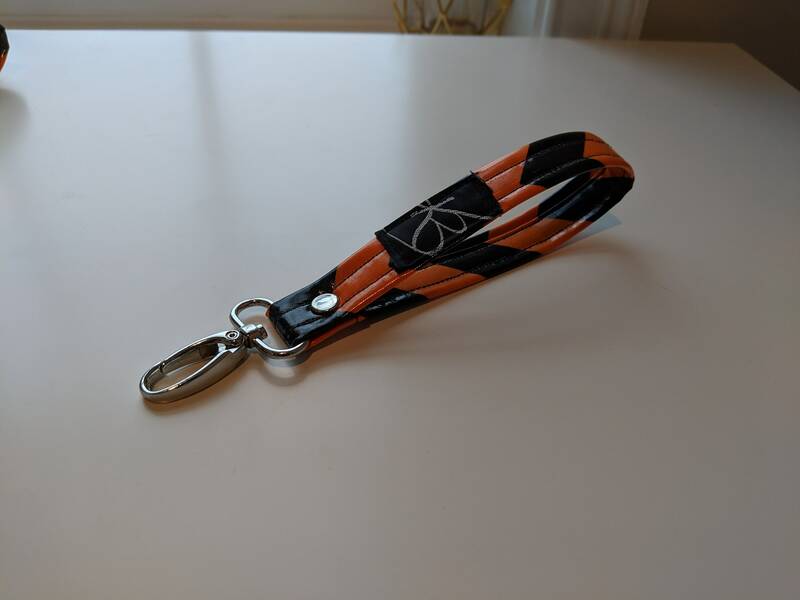 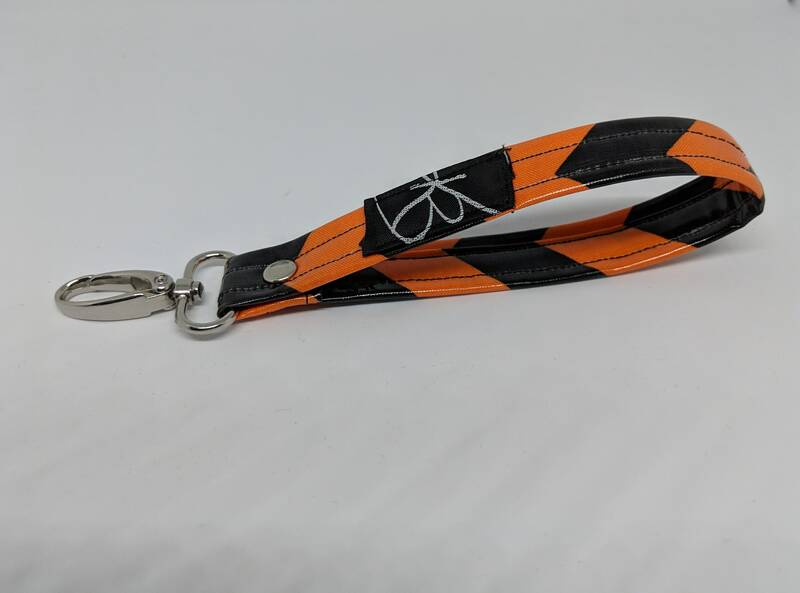 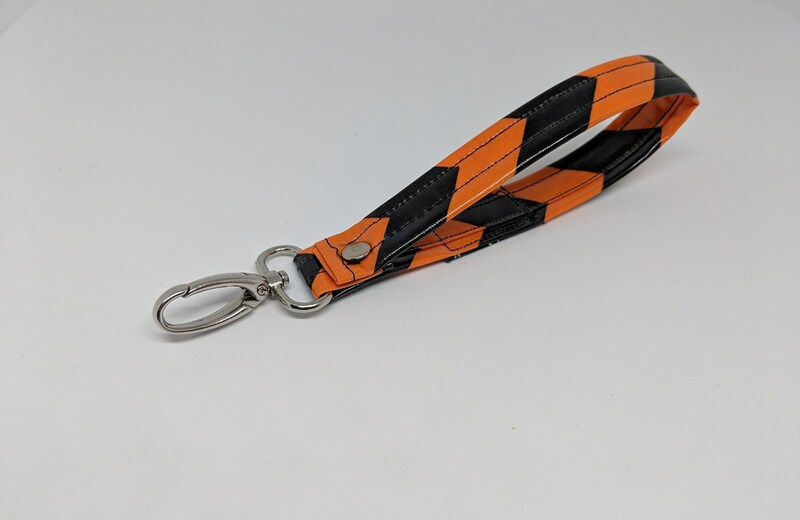 Black and orange laminated cotton key chain! 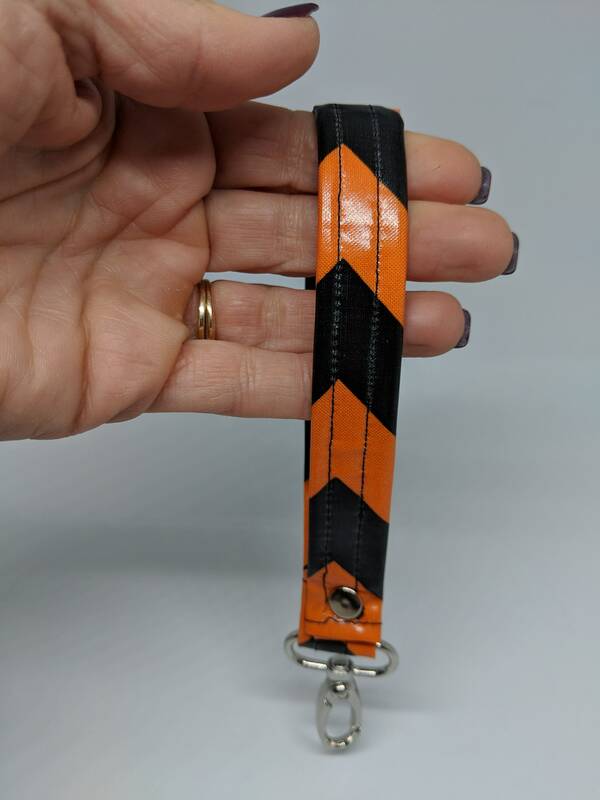 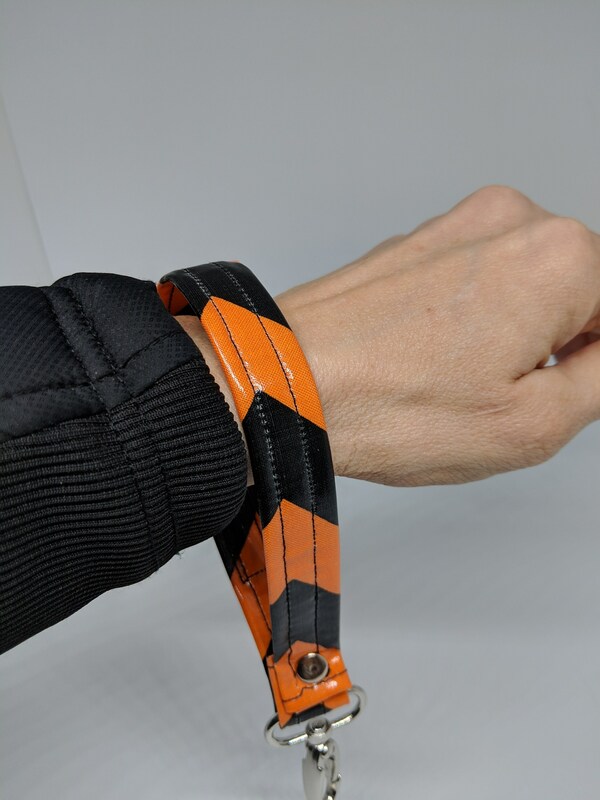 There are many schools with black and orange as their school colors and this is a great way for you and your children to show their town pride! 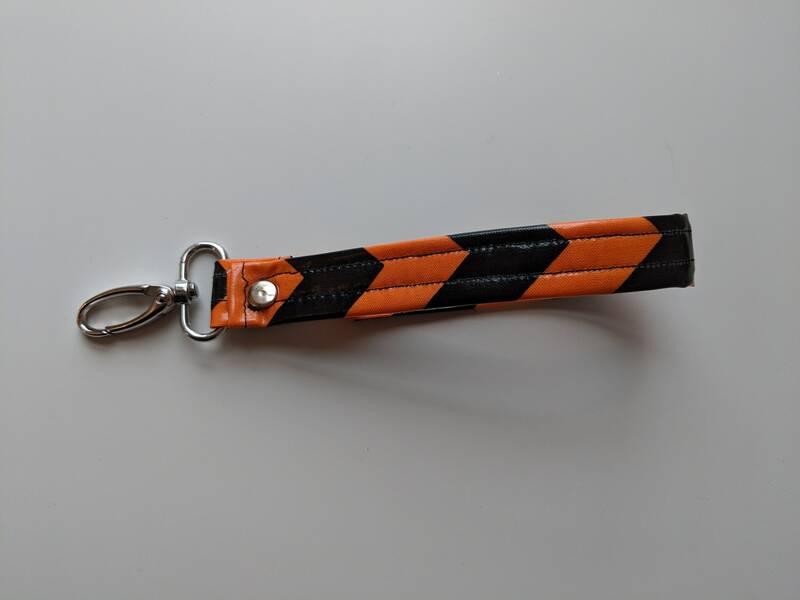 This versatile key chain is a great way to carry around your keys. 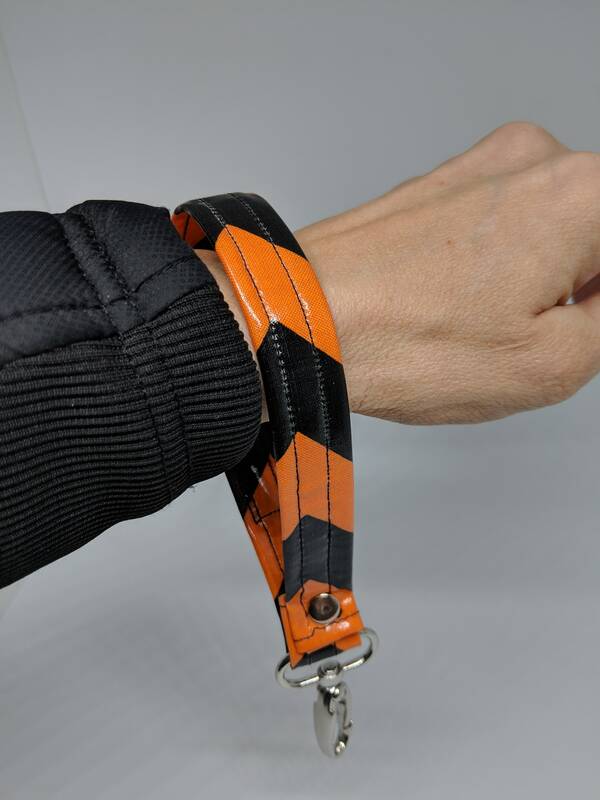 Attach your keys to the hook and put the handle around your wrist.